Jofran’s Global Archive Collection is a study in artistry and skill. We searched far and wide for the best craftsmen- selecting only the finest- to create a large but curated collection of freshly styled accent tables. Every piece is handmade by skilled artisans using natural materials- seashell, leather, hardwood, brass, and other unique elements. Genuine hand-laid sea shell. 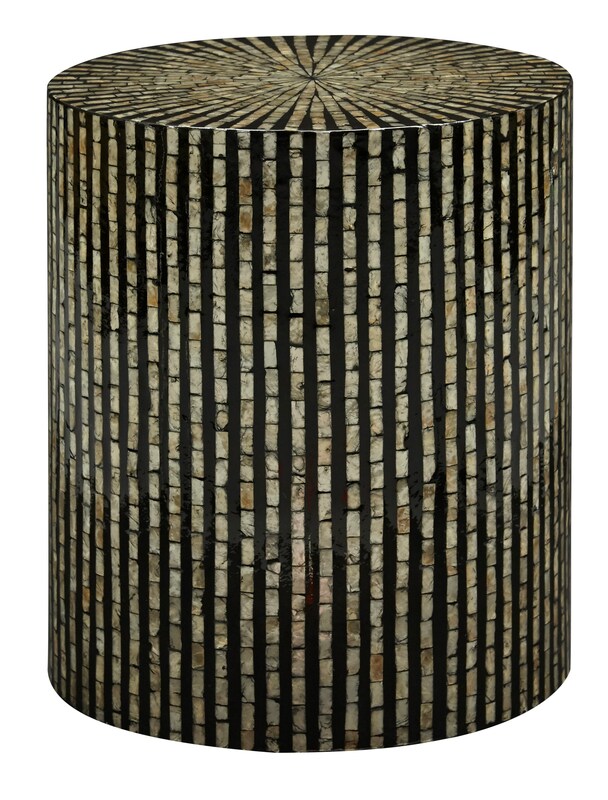 The Global Archive Round Capiz Accent Table by Jofran at HomeWorld Furniture in the Hawaii, Oahu, Hilo, Kona, Maui area. Product availability may vary. Contact us for the most current availability on this product.